If you ever decorated a Christmas tree before, you do know by now that, right after you put the lights in your Christmas tree, it’s time for the garland. Or the tinsel. Or is it the tinsel garland? Let’s clear the things a little bit: tinsel used to be the long, thin, stringy solver that you’d hang on a Christmas tree to make the lights reflect off even more beautifully. Nowadays, the tinsel garland is a garland of various sizes and shapes that nicely decorate your Christmas tree. You can find, for instance, garlands with needles to make them look like a part of a timeless pine tree. In the past the tinsel had an icicle look, came only in silver color and was really time consuming to hang in the tree. Nowadays, the market gives you garlands that are made of beads- classy, elegant and stylish looking. Or you can choose garlands with pine cones, pre lit or not, and decorated with plenty of other Christmas ornaments. Some tips apply when decorating the Christmas tree with garlands. You’d want to hang tinsels (garlands) individually- try to hang each one of your tinsels one at a time. It’s time consuming but it’s all worth it, since you have more control over the final aspect. There is a „six-six” rule, meaning that you wouldn’t want to hang more than six strands per branch and leave around six inches of space between tinsel-decorated branches. Choose the garlands to suit your taste. It may be made of popcorn, cranberries, candies, beads or tinsel. It’s a good tip to buy/make 10feet of garland for every foot of tree. You can go for a long garland or several shorter ones. 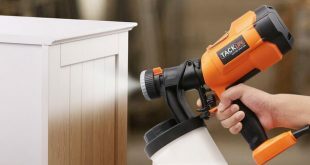 Start at the top with your garlands and use a stepladder to reach up if your tree is too tall. Drape the garlands around the tree, creating even spaces. Secure the garland to the branches with wire, ribbon or simply wrap the garland around the branches. 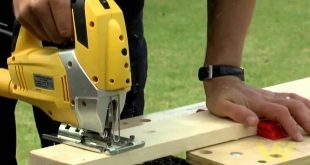 It will also give a nice shape to your garland. If you feel that you want to go against the wave, you can hang the garlands vertically, knotting them to top branches and letting them flow to the bottom of the tree. 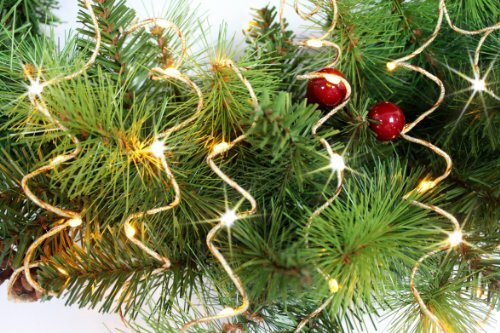 Another way to use tinsel is to add it to a string of lights, wrapping it around the wire. The nightlight reflects beautifully thanks to the tinsel garland that might have also small stars or other decorative objects and, during daylight, the tinsel gives a fuller look to your Christmas tree. And now that you got creative, you can also hang a bulb (or any other decorative object that comes to mind) to make the tinsel look nicer. If you want to go with the beaded garlands, keep in mind that you can cut it up to various lengths- depending on your needs. You do need to make sure that the beads won’t fall off, though. For a more interesting look, you can play with various lengths of the garlands. For a country look on your tree, clip raffia to even lengths and tie or wire the lengths together. You get the wild raffia look by swagging the wires onto the branches. You may also use the garlands as long natural vines, especially if they are thin and flexible enough to work around the tree. Cranberrry and old popcorn garlands are everlasting and they add a homey look to your tree. You do need thread, popcorn, needles and some crafting skills. Since you need long strings, it’s better to keep this project for a 5ft (and under) tree. Mini pine cone garlands look also very nice in your tree – country or cabin themed mostly. There are commercially made garlands of mini-cones but you can give it a go by yourself at home if you have the means. Start decorating your Christmas tree with this Kurt Adler Assorted Clear Glass Icicle Ornaments garland. This is the garland that gives a beautiful, classic look to your Christmas tree and it’s made of icicles that differ in size. The icicle ornaments are made of glass- they are crystal clear, reflecting amazingly the lights but do need more attention while handling. 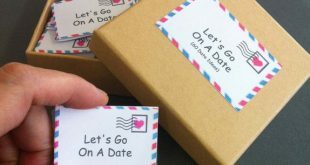 Each set contains 24 pieces and it comes gift wrap also- keep this in mind when Christmas gift shopping. 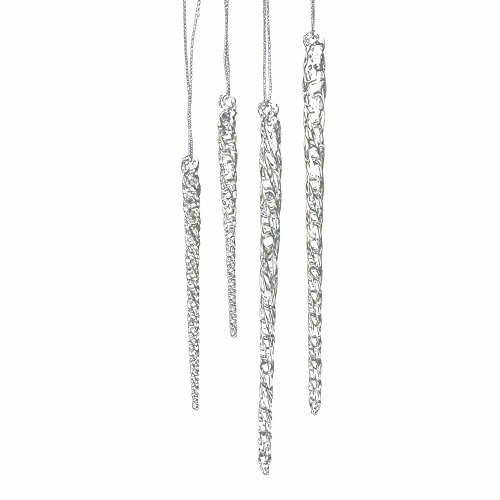 If your tree is higher than 8ft, you might need more one set of these pretty, slim icicle ornaments. 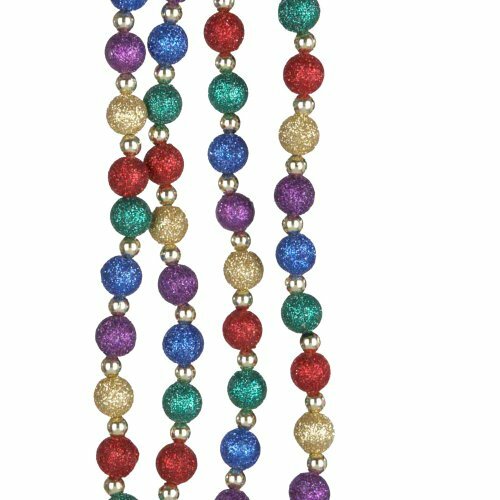 If you want to jazz up things a little bit in your Christmas tree and get artistic, try to decorate your tree with this Kurt Adler Multi Glitter Beaded Garland. 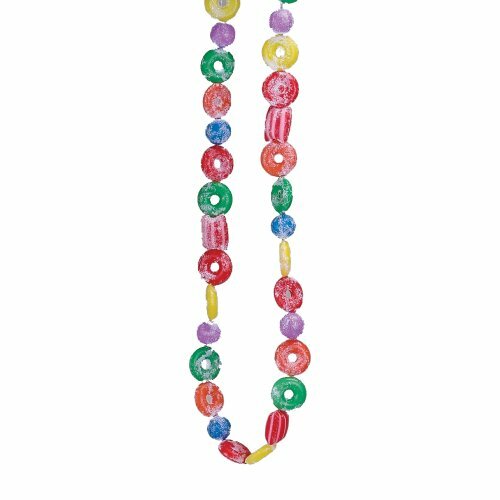 The beads in this garland are both glittery and come up very bright, fun to watch colors or red, green, blue, purple and gold. 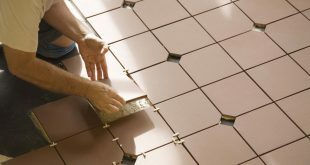 Every large, sparkly bead is separated by a smaller, metallic bead. 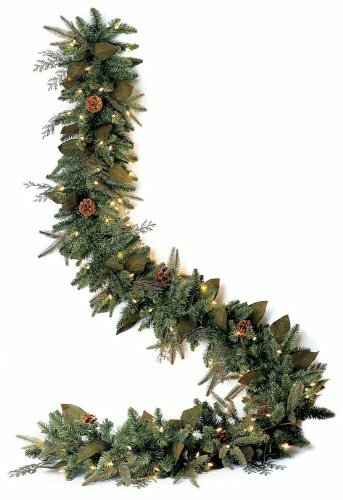 This garland is 9’ long so measure your tree to buy the right number of garlands. 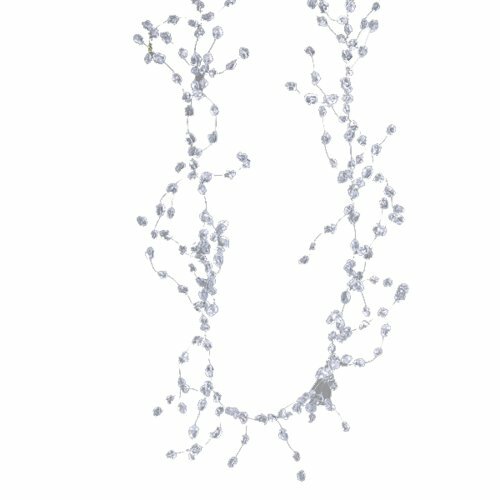 f you want to continue with the winter fairy tale look on your Christmas tree, you can use this Kurt Adler 6′ Plastic Ice Wire Clear Garland. It’s a 6’ plastic and wire garland that adds a nice shine to your tree, keeping the „fairy tale” still going. This garland is well constructed and its low price make you buy many so that you can obtain the final effect that you wanted. Made with genuine Magnificent crystals, these strands are simply the touch that an elegant and classy tree needs. The beads are handmade, connected by silver chrome jump rings, so your Christmas tree will get all the sparkly and clear light it needs. 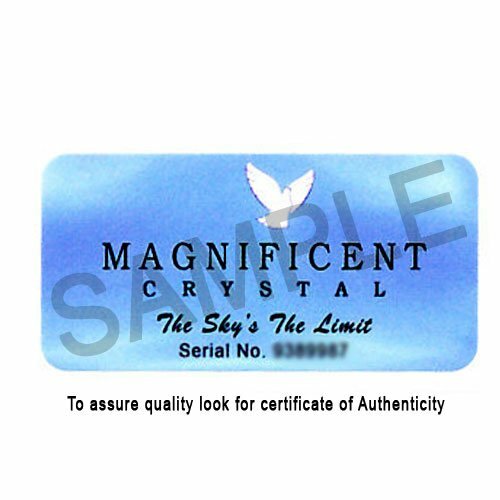 Keep this in mind when shopping, not to mistake them with crystal imitations and copies! If you want to give a rich, over the top look to your Christmas tree, go with this GKI Bethlehem Lighting Pre-Lit 6-Foot Christmas Garland. This is an artificial 6ft long pre-lit Christmas garland that gives your tree a natural appearance, no matter its color or material. This is a garland made of PE/PVC, featuring leaves, fern-like stems and leaves. This is a pre lit garland and its 100 UL listed clear mini lights have a lock feature- if one of the bulbs burns out the other ones remain lit. And, just in case…the customer service provided is great! Bright and fun your Christmas tree may become with this Starlite Creations Cordless 12FT Metallic Braided Garland, Gold, 36 LEDs Bundle Set. This is a metallic braided wire, 12 ft long featuring 36 lights. The garland is 3AA battery operated with built in timer and may light up for 6 hours after turned on and stop automatically stop for 18 hours. It has various light modes: steady on, flashing and phasing (slow flash). The color red is very true for this garland and one order gets to two packs of 12 ft long strands. Since we are in the „glittery” look zone, you can give your tree a royal look with this Royal Christmas 72″ Rich Champagne Gold Two-Tone Lush Beaded Wire Garland. Every Christmas tree needs some sparkle and you can give yours in style, with this faux holly sparkling berries garland. This garland is made of polyester foam, iron, paper and polyethylene and it’s flexible enough to go around the branches of your tree for a better fixing. Handmade and with intricate details, this garland gives your tree just enough amount of sparkle and elegance. This garland is 12 ft long and is clear frosted, completing the winter tale look of your tree. The iridescent confetti make this garland a luxurious tinsel garland. It’s made of PVC and holographic Mylar. You should have no worries when it comes to safety since this garland is flame retardant and tarnish resistant. This tinsel garland is a deluxe version, full and thick and comes in almost 20 color options. The bright metallic tinsel reflects light for extra sparkles and you may order as many as you want. Even though this garland is thick and full, that doesn’t mean that gives a bulky look to your tree. 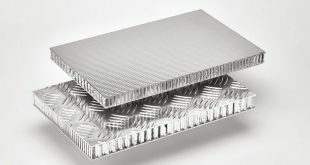 You may use it year after year since it’s easy to fold in and store it when the Christmas is over. The garland is strong, tough and hangs beautifully and… flame retardant as well. If you want to give your tree a colorful just using some garlands, this is a great product. 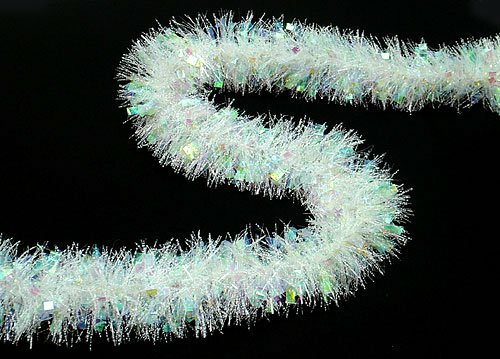 The Holographic Christmas Tinsel Garland is unlit and features white, red, silver and green colors at once, giving a nice look on any tree- white flocked or plane green. 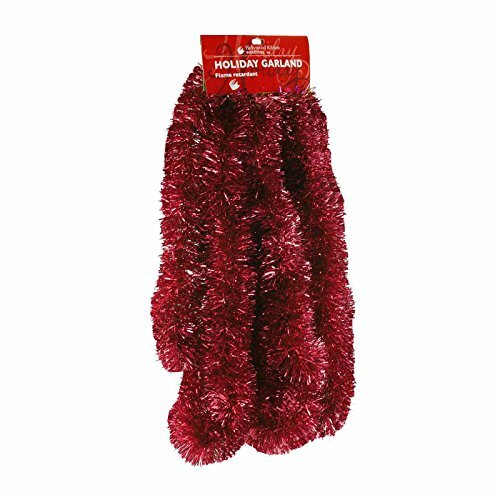 The tinsel garland is flame retardant and tarnish resistant, so it will last a long time. The garland is 12’ long and it’s 8 ply tinsel garland type. 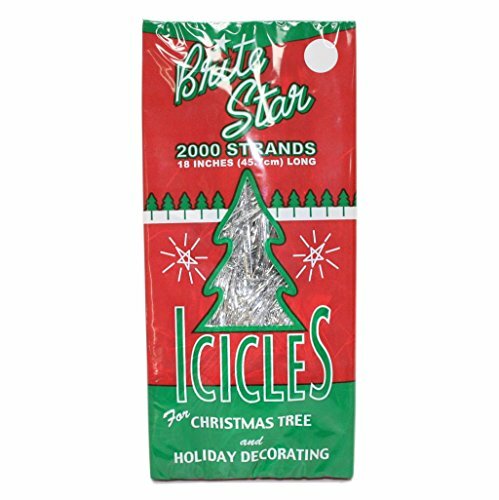 Give your Christmas tree a treat and cover it in glitter with this BRITE STAR Silver 18-Inch Icicle Tinsel. Your tree gets a silver shiny look thanks to these beautiful, old-time, silver tinsel strands. Each strand is almost is around 20inches and there are 2000 strands in the package. To get the best result it’s better to shake the package since these lightweight plastic icicles tend to stick to each other. To separate them, pinch them between your fingers as you remove them from the card. 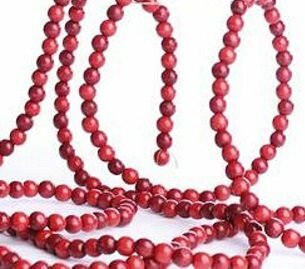 For a more traditional Christmas tree, try to decorate your tree with this Cranberry Look Burgundy & Red Wood Bead Garland. The garland is designed by Factory Direct Craft and it’s 9ft long. This is a cranberry looking wooden bead garland and creates a classic, everlasting appearance to your tree. To maintain the classical, out from your childhood memories, type of Christmas tree choose this Factory Direct Craft 6 Foot Long Decorative Faux Artificial Popcorn Garlands. If you don’t have the time but still want to give your tree the classical, ageless, look this garland will sure work its magic. It looks real, it’s very cute and some of the popcorn pieces look like you dropped some butter on them. 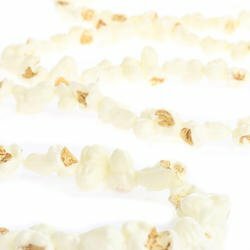 Some of your guests might even try to taste them, so let them know this is a fake popcorn garland! This garland doesn’t get tangled and comes with extra string at the end in case you need to tie it together with another piece. Brightly colored, this garland is the perfect touch for a traditional Christmas tree. The garland is made of plastic and sprinkled with glitter. It has a fun design of various candies and may just become the perfect gift for your loved ones. The garland is 9ft long and brings some jazz to your tree, for sure. When you feel your Christmas tree needs a natural vibe to it, give it a treat with this White Canadian Pine Artificial Christmas Garland. This artificial Christmas garland is unlit, has 200 tips and makes your tree both look fuller and touched by winter indeed. The garland features a bendable wire center that lets you shape it any way you want. The hanging of this garland is easy thanks to the metal hooks on each end. 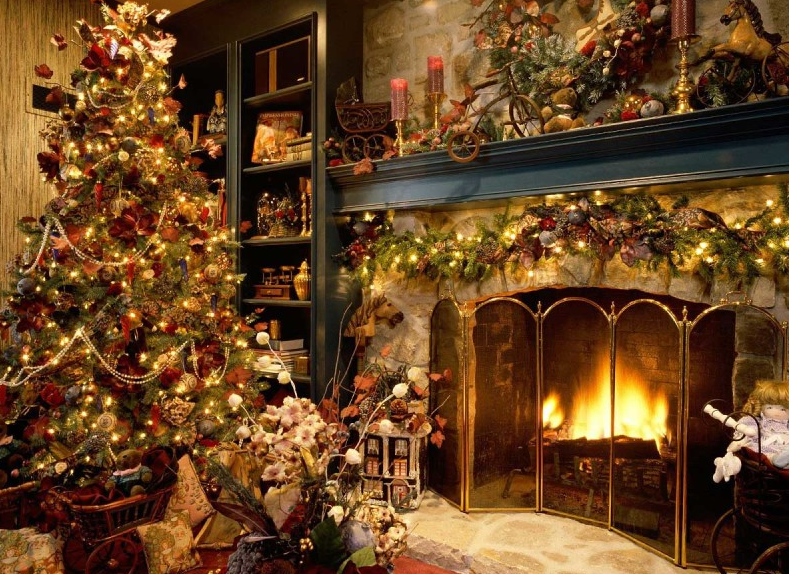 The garland is flame retardant, 9’ long and 8″ thick, and may also be used outdoor. 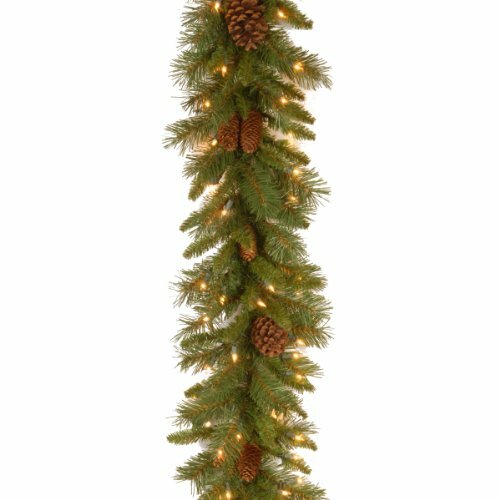 If you want to give your green, artificial tree a fuller look and some more lights also, go with this National Tree Pine Cone Garland. 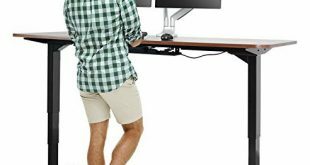 This 9 ft. long and 10 in. thick garland is both for outdoor and indoor use. Its 50UL listed lights are pre-strung and clear. The pine cones give a more natural look to your Christmas tree and a feel of an abundant Christmas.